She also starred in the HBO film “Marilyn: the Untold Story,” for which she earned an Emmy nomination for her portrayal of Marilyn Monroe. Given Catherine’s large demographics with the mothers and teenagers who grew up watching 7th Heaven, she knows she has a wide and eager audience. “Wherever I go, LA, NY, Paris or the remote lake country in Italy, people shout “7th Heaven” and run to hug me.” 7th Heaven still plays every day in syndication for at least 2 hours in all markets of the US and Europe. Catherine knows her audience is still energized. Her personal passions range from genocide in Darfur, starvation around the world, the elderly, teenage struggles and animal rights. Catherine has first hand knowledge of the issues that address the health, welfare and socialization of the elderly in our society. As an only child, she has practical experience in dealing with the dilemmas of an aging parent with dementia, caregivers and quality healthcare. Catherine works with Catholic Relief Services (CRS) to help the displaced, starving and dying in Darfur, Sudan. Last year, she filmed a Public Service Announcement for CRS on the social conditions and the crime of genocide in Darfur. She sponsored an outreach program to actors and other celebrities asking them to wear “Sudan…Stop the Violence” tee shirts to promote awareness. Her work started back with the genocide in Kosovo and Rwanda. She sounded the alarm for Darfur, 2 years before anyone would listen. She has recently gone through the turmoil of her teenage daughter’s bout with depression and OCD. As a theology major, Catherine is always eager to promote the validity of faith as a basis of social action and personal healing. Finally, she can talk anywhere, any time to any group of working mothers and address the issues they encounter. Hicks resides in Los Angeles with her husband, Kevin Yagher who is a writer, director, and special effects artist, and their 16 year old daughter. Do you want to hire Catherine Hicks? Directly request a quote. In 48 hours we can send you the availability of Catherine Hicks If you would like to book Catherine Hicks, Entertainment Booking Agency is the right place. We will offer you the best price and contact the management or we directly contact Catherine Hicks. For corporate appearances or speaking engagements you can contact our agents and the will help you true the process. Tags: hire Catherine Hicks, Catherine Hicks booking, book Catherine Hicks, Catherine Hicks appearances, find more information on booking Catherine Hicks for appearances, Catherine Hicks speaking engagements, Catherine Hicks endorsements/spokesperson, Catherine Hicks appearance fees, Catherine Hicks booking agency contact info, biography of Catherine Hicks, Contact an artist booking talent agent find a speakers bureau that can book Catherine Hicks, speaker booking agency for Catherine Hicks, Catherine Hicks booking agency, Catherine Hicks booking for corporate event. EBA is one of the biggest entertainment booking agencies in the World. We book hundreds of celebrities, artist, athletes and speakers in a year. Important to know is that we are not claiming to be the management of Catherine Hicks. 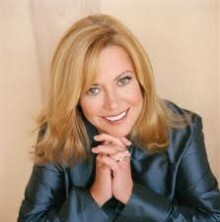 We are not the official agent for Catherine Hicks. Companies from around the globe book these artists and speakers true our company be course we have one of the biggest networks and we always have direct contact with the artist or the management. We help you to find the right celebrities for your corporate of private events. Please contact one of our agents to get free advice and we will help to get the world-famous artist on your party.